I love carrot cake but I don’t love the way I feel after I eat an entire cake, and let’s face it, if I’m let lose around one there is a high probability that that will happen. 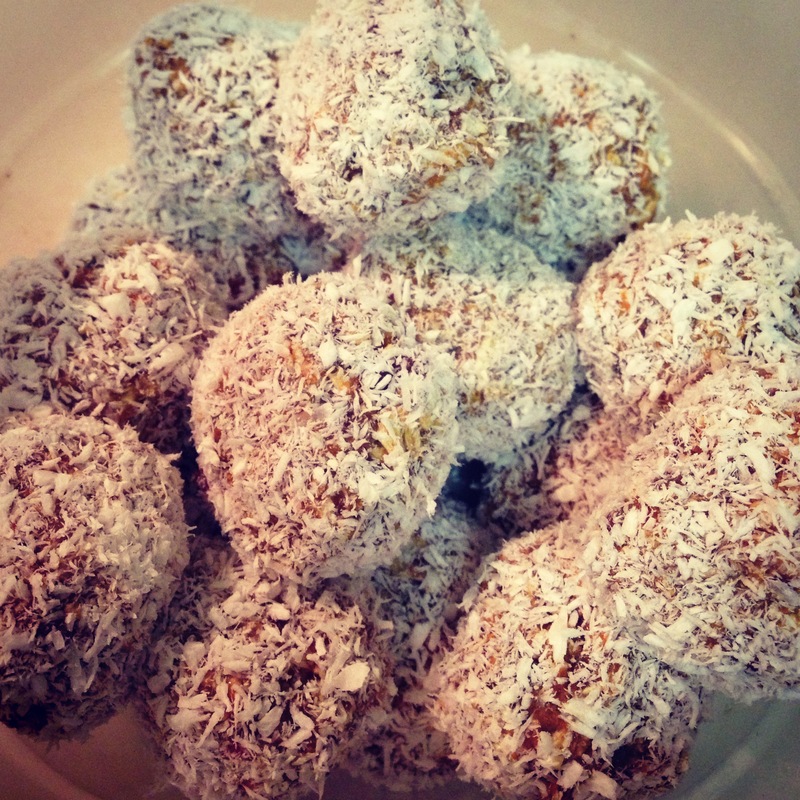 Last night I got crafty in the kitchen and made these yummy energy bites for dessert or before workouts. Usually I eat a Quest bar before I work out but for some reason I have been wanting dates lately. Directions: Combine all ingredients into the food processor except for oats and coconut. Once well blended, it should be mushy, add oats and blend more. You may need to add more oats to thicken it up. Transfer into a bowl and refrigerate for at least 30 minutes. 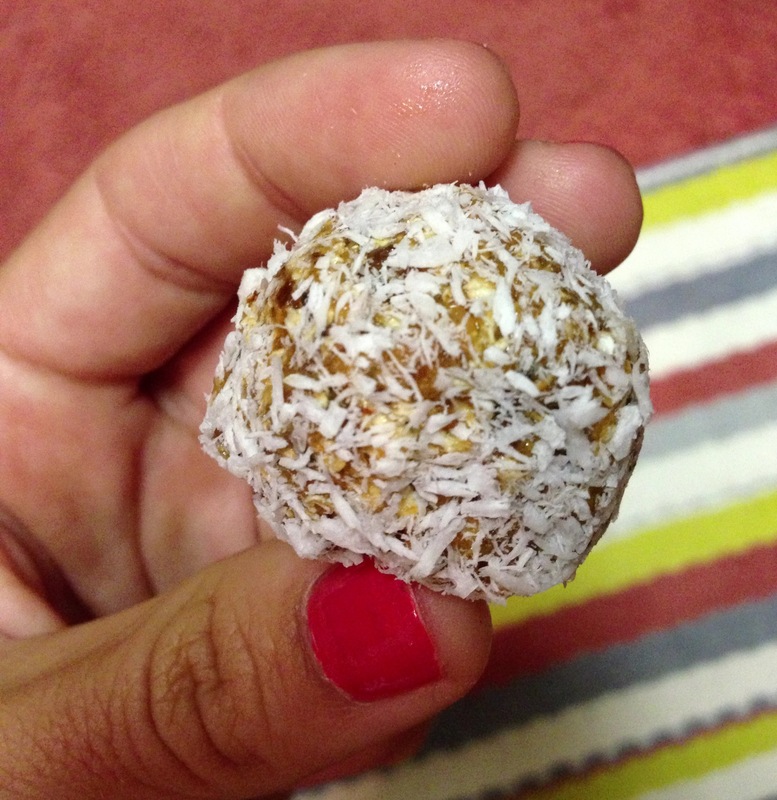 Roll into balls and roll in coconut. Refrigerate for 4 hours or overnight. Keep these babies refrigerated throughout your week. They are perfect for dessert, to eat before you work out, or as a midday treat. Every beauty needs its close up, right? Substitutions: If you don’t have almond meal, you can use almonds. Also, if you don’t have Chia Seeds but had ground flax, that’s a great substitution as well!